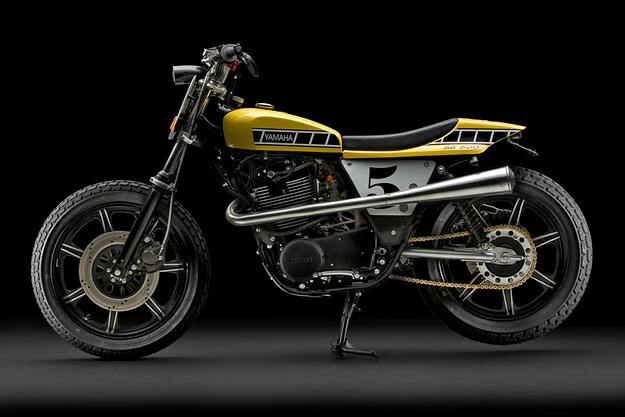 Randall Cordero is one of America’s top motorcycle photographers, and his shots of this ‘bumblebee’ Yamaha caught our eye. This 1978 500cc thumper is owned by veteran rider Russ Somers, an art director for Simpson Race Products. It’s packing a White Brothers cam, a flatside carb and a SuperTrapp muffler. Appearances are taken care of via a Drag Specialties Wave headlight, plus an XR500-style tank and tail section from Omar’s Dirt Track Racing. Cordero has captured the look perfectly: see more of his wonderful work here.